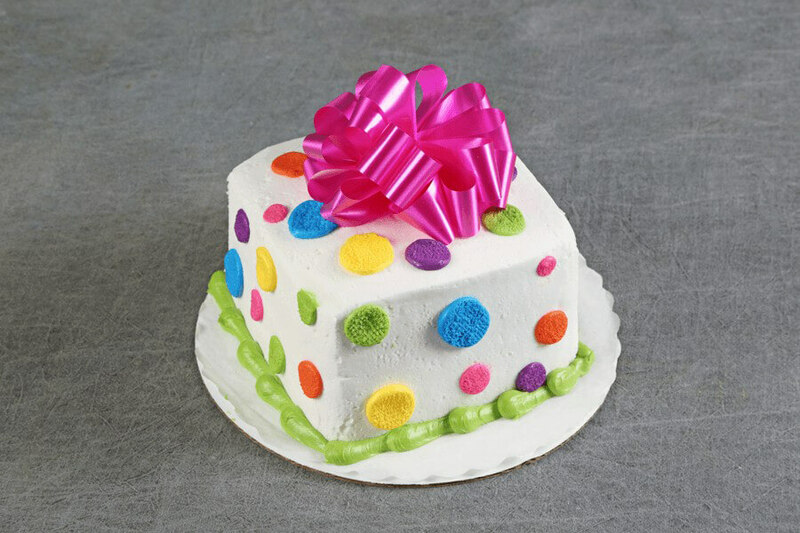 (6″ square serves 6-8) Four layers of slightly tart pink UltramoistTM cake filled with our homemade champagne filling (no alcohol); frosted in vanilla buttercream. Finished off with neon colored polka dots and paper bow. Bow color may vary.